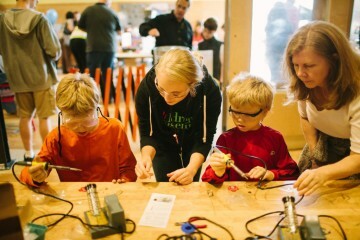 Hands-on learning innovations like those featured during Pittsburgh's annual Remake Learning Days are getting global attention. Photo courtesy of Remake Learning. On a recent day in Pittsburgh, students at a performing arts charter school were learning about dance and the importance of diversity from Tre Frazier, a dancer in the touring company of “Hamilton.” Throughout the city, other students were busy discovering new ideas at museums and libraries. Some were even getting real-world entrepreneurial training at pop-up businesses launched within their own school buildings. That’s how education happens in much of the Pittsburgh region, thanks to years of collaboration between schools, museums, libraries, community centers and the growing pool of stakeholders in the Remake Learning network. That innovation is now being showcased on a global scale, as Remake Learning takes the stage at the international Learnit summit in London later this month and the global nonprofit HundrED names Pittsburgh as the first city in North America to be the site of a HundrED Spotlight campaign. Once winners are chosen, their innovations will be shared online with communities throughout the world and they’ll be invited to present their work at HundrED’s annual three-day Innovation Summit in Helsinki, Finland in November. 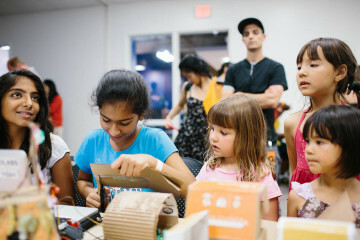 “The HundrED Spotlight Pittsburgh will elevate our regional education changemakers who take risks in their classrooms and schools, engaging their students in meaningful experiences and pushing the limits of learning,” says Gregg Behr, executive director of The Grable Foundation and a local partner in the HundrED Spotlight. It’s also “incredibly affirming for those in the local learning landscape to appreciate and understand what high quality work we’re doing collectively,” Behr says. In addition to this global attention, Remake Learning also continues to share its knowledge nationally. 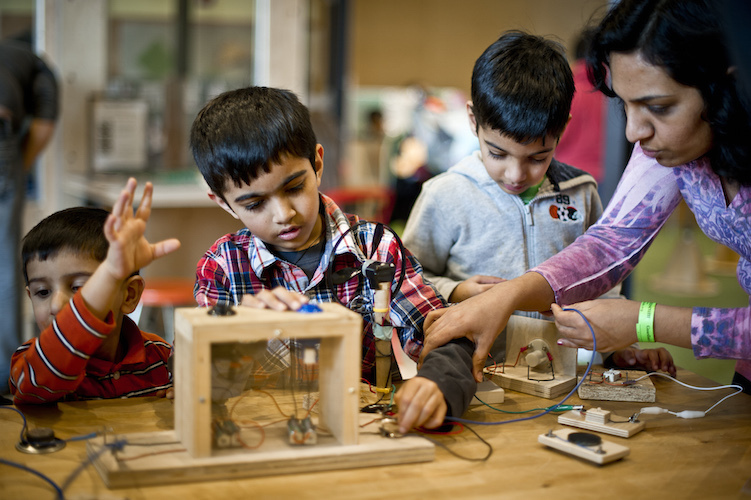 Building on the success of our regional Remake Learning Days, Pittsburgh will collaborate in April with five other cities to host Remake Learning Days Across America, a multi-city festival of innovative and engaging learning experiences for young people and their families.